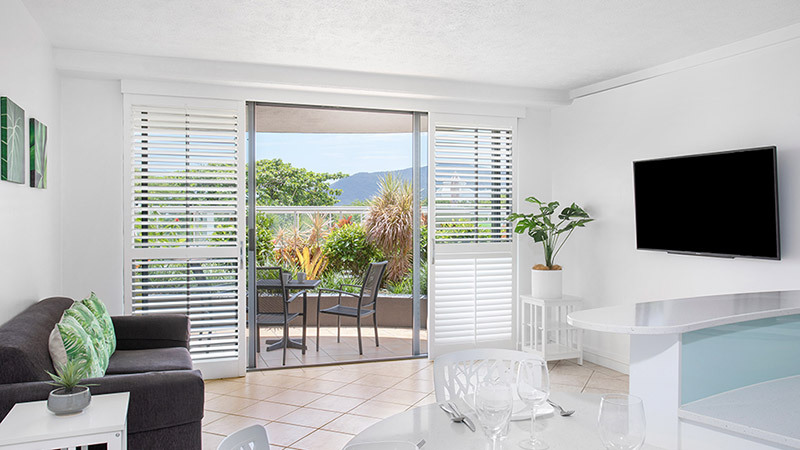 BreakFree Royal Harbour offers 1 bedroom garden and ocean apartments set among the lush parklands and shimmering waters of the Cairns Lagoon and Trinity Bay. Stroll along the Esplanade where the restaurants and cafés will offer a delightful choice of meals. Night markets on the Esplanade are a must-see to find that holiday memento. 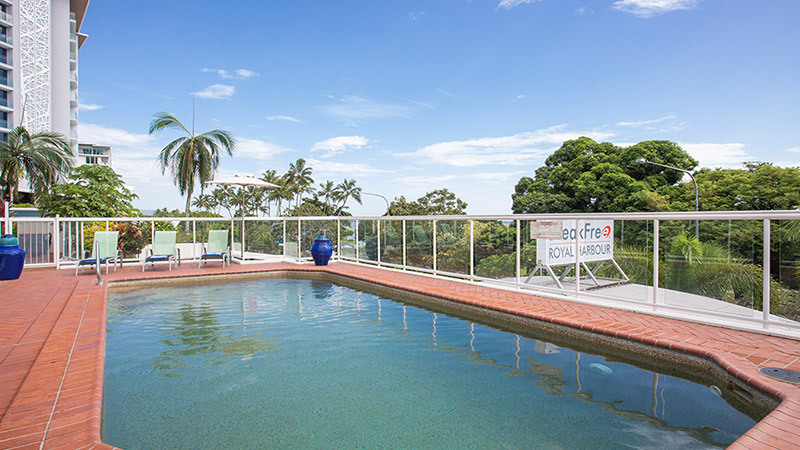 The pool deck on level two provides views of the ocean and Cairns Lagoon, or catch the seabreeze from your private balcony and watch the procession of boats to and from the nearby marina. For guests arriving by car, including taxi, please arrive at our rear entrance where Reception and car parking is located - Level 1, 60 Abbott Street. This is above the Night Markets.